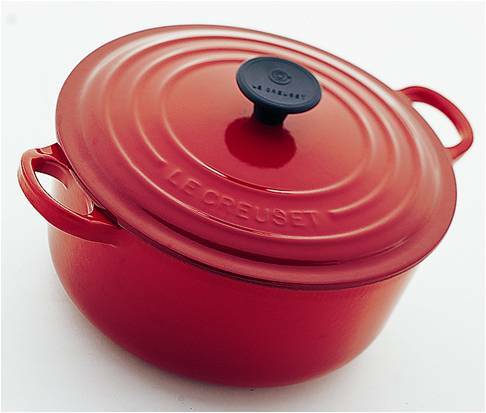 I had been coveting a Le Creuset dutch oven ever since the no-knead bread recipe appeared first of all in a NY Times article all those years back. Was it 8 or 9 years ago? Or maybe 7. I forget but I remember thinking, "bread, no kneading required, mmmm.... what a great idea." All I need is a dutch oven which costs an arm and a leg, that's all. And that would be the cost of how many hundred loaves? So that idea got shelved, I moved to Sydney where I had access to the best breads known to mankind. After having the luxury of these great breads, wonderful varieties, for about A$5 a loaf, which although not cheap, seemed quite reasonable considering the warm happiness it brought me - I left Sydney after 4 years. And then started getting withdrawal symptoms not just from missing the coffee, but also the bread. I checked the sales diligently at the housewares section just to see if the price of a Le Creuset dutch oven has plummeted for some unknown reason. No such luck. I continue to search for decent bread in Singapore and found a passable version in the Gardenia Walnut country loaf at S$3. Then on my last trip to San Jose where I organised a shopping trip to the outlets, I found my much longed-after RED Le Creuset dutch oven for about S$200, possibly about half the price for the same thing in Singapore. I packed it well with t-shirts cradling it in its box and hand-carried it back on the flight. Now I have the equipment, I need to search for that recipe and start baking. In the meantime, it is sitting on the stove, resplendid in its redness. A birthday celebration in Taipei this year due to work exigencies. 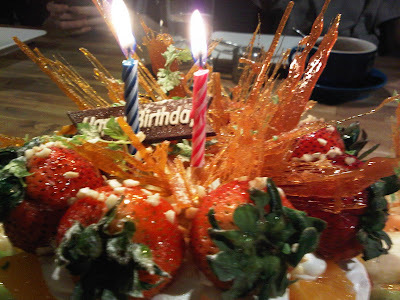 Not the most ideal situation but still the Taiwanese team made up for it by throwing me a celebration at a rustic French bistro with really yummy food, great ambience and a gorgeous cake which got even more made over by the bistro chef who embellished the lovely cake further with his specialty of sugar shards. All considered, it was a good day - 13 June. I have a ne w interest which has stemmed from an old interest. Together with my partner in grime, K, we started an online business for all things vintage in March and have started selling retro, vintage furniture, glasses, ceramics, jewellery, bags and other household items through our blog and also our Facebook page. I used to be a buyer and a collector, now I am also a seller. 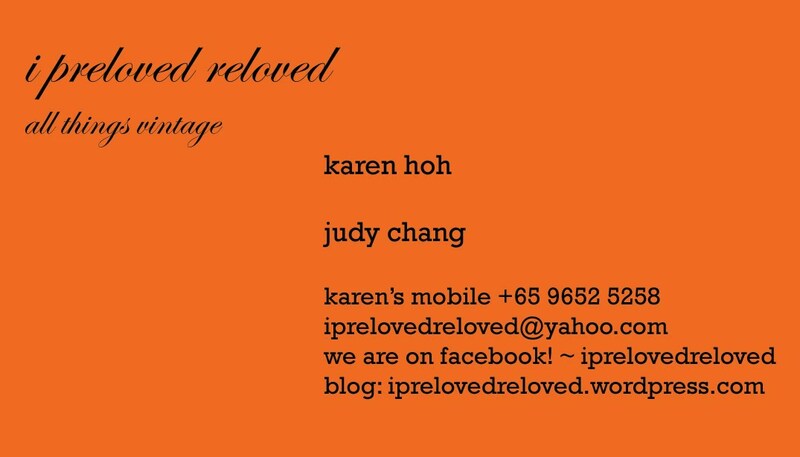 We are really excited to get our new name cards today! Thanks to my talented designer/artist husband for designing them for us.